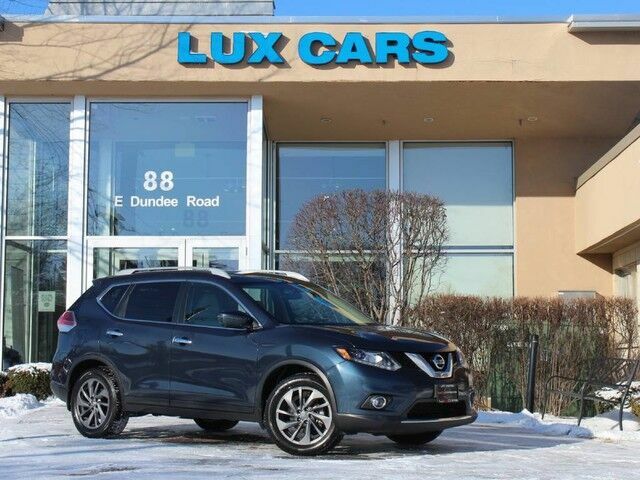 SUPER LOADED & VERY CLEAN 2016 NISSAN ROGUE SL! NAVIGATION & BACK-UP CAMERA! HEATED LEATHER SEATS! PREMIUM PACKAGE! PANORAMIC SUNROOF! BLIND SPOT ASSIST! AUTOMATIC CLIMATE CONTROL! SATELLITE RADIO! POWER LIFTGATE! TOW HITCH! 18" ALLOY WHEELS! NO STORIES! CARFAX CERTIFIED! READY FOR THE ROAD! BUY WITH CONFIDENCE OUR QUALIFIED PRE-OWNED VEHICLES ARE COVERED WITH 3 MONTH OR 3,000 MILES *LIMITED VEHICLE PROTECTION WARRANTY. SCHEDULE A TEST DRIVE TODAY 847-947-2900 WWW.LUXCARSCHICAGO.COM *************************************************************************************** Lux Cars Chicago is the ultimate source for all your automobile related needs: We offer many products beyond our great cars. We have one of the strongest finance departments in the region to assist you in getting your dream car today! We offer a full spectrum of the finest extended warranties on the market today! We have our own 3~bay ASE certified and AAA approved service facility to help our clients service and maintain their vehicles. We want you to not just drive away happy, but stay happy with your car as long as you own it!